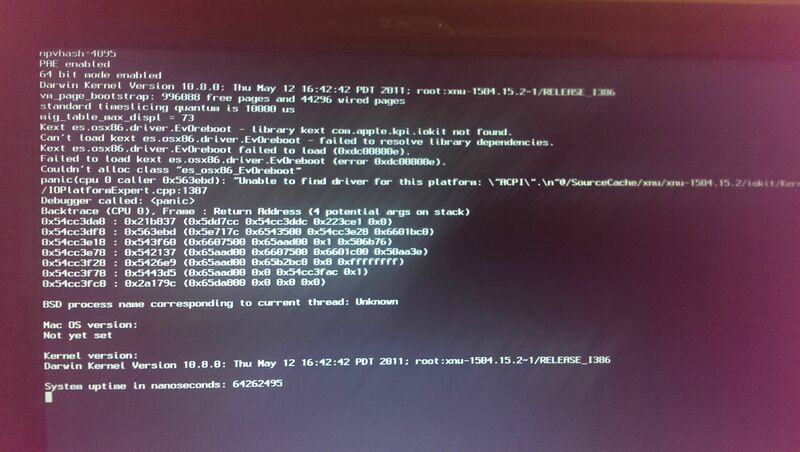 i tried the following boot flags GraphicsEnabler=0, DSDT=Null, DropSSDT=Yes etc error screen doesnt change. It is possibel cause people showcase theire t400 working on os x. Make sure the floppy diskette drive and CD-ROM drive do not have disks installed. This condition will and or can result in a "Non-system disk" error. Test the system to see if the problem is corrected, and continue to the next step if the problem is not corrected. Load default settings in the System Configuration Utility. Attempt to boot to safe mode. check Lenovo Thinkpad T400 Manual for more booting troubleshoot ideas.